Heat oven to 350°F. In large bowl, knead cookie dough and dry chai mix until well blended. Break up 3/4 of the chai dough in ungreased 8-inch square pan. Press dough evenly in bottom of pan. (If dough is sticky, use floured fingers.) Bake 12 to 17 minutes or until light golden brown. Meanwhile, in small bowl, mix caramel syrup and flour. In another small bowl, knead remaining 1/4 of chai dough and the walnuts. 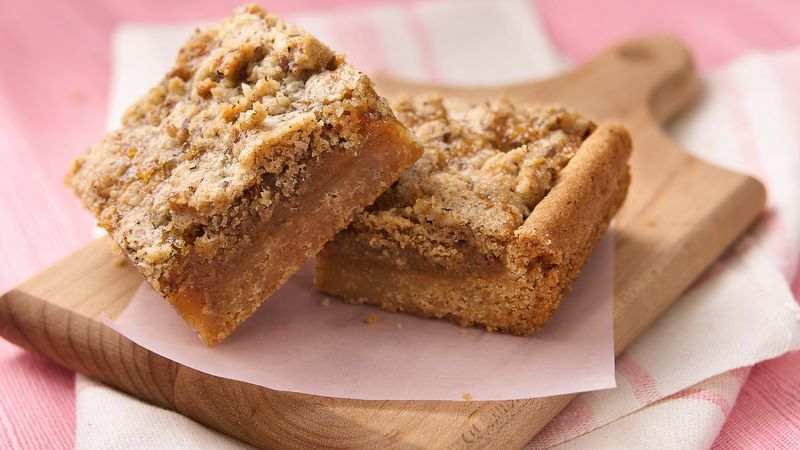 Gently drizzle caramel mixture evenly over partially baked crust. Crumble walnut chai dough evenly over caramel. Bake 22 to 29 minutes longer or until top is golden brown and firm to the touch and caramel is bubbly. Cool completely, about 1 hour 30 minutes. For bars, cut into 4 rows by 4 rows.